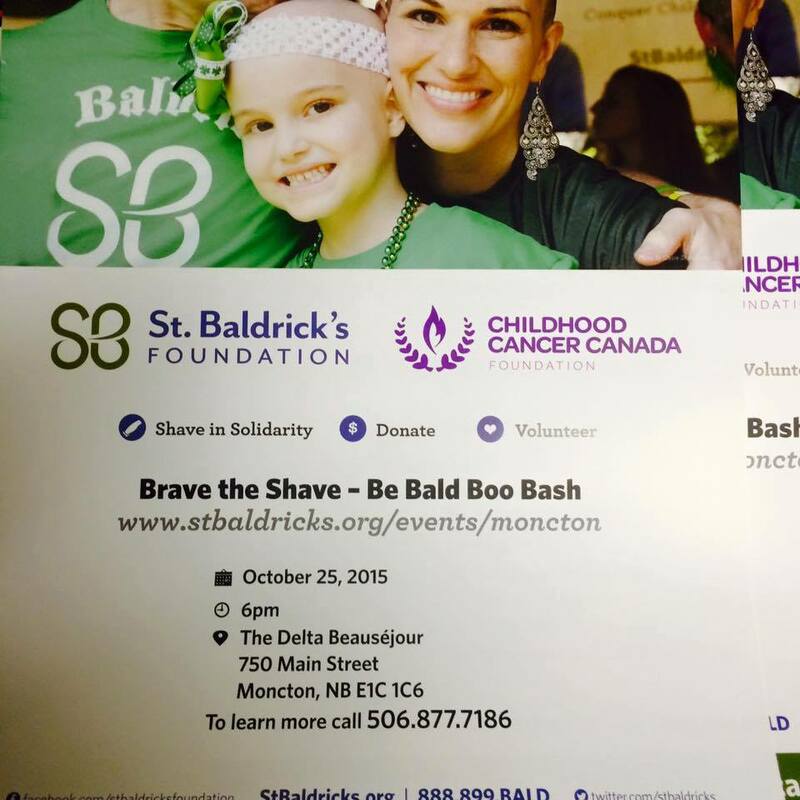 BRAVE THE SHAVE AND HELP FIGHT CHILDHOOD CANCER! SUNDAY!!!!! Brave the Shave is all about helping kids with cancer. Money raised stays in our region and helps to fund research! Money goes to Childhood Cancer Canada. WHEN/WHERE? 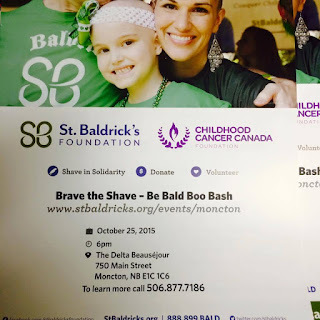 : Shaving Shindig is Sunday, October 25, 6:00p-9:00p at the Delta Beausejour. It's a Halloween theme this year! There'll be a Silent Auction, Live Music and Lots O fun! So put on your costume and stop by! CLICK HERE to sign up to get shaved!